Posts My 700th Post! Jack the Ripper and a Giveaway! My 700th Post! Jack the Ripper and a Giveaway! 700 posts? Can it be true? That’s humbling, honestly. And it makes me happy. But even better? I have a contest where you can win a copy of a VERY COOL anthology that I’m delighted to participate in! It’s titled TALES OF JACK THE RIPPER and I can’t wait to read it myself! Do you see those fantastic names? Do you see my name on the cover with them? I died a little, yes I did. You can read more about it, including the full TOC, here. My tale is called “A Pretty for Polly” and I attempted to explore the gentler side of Jack the Ripper. Let’s see how it goes, shall we? 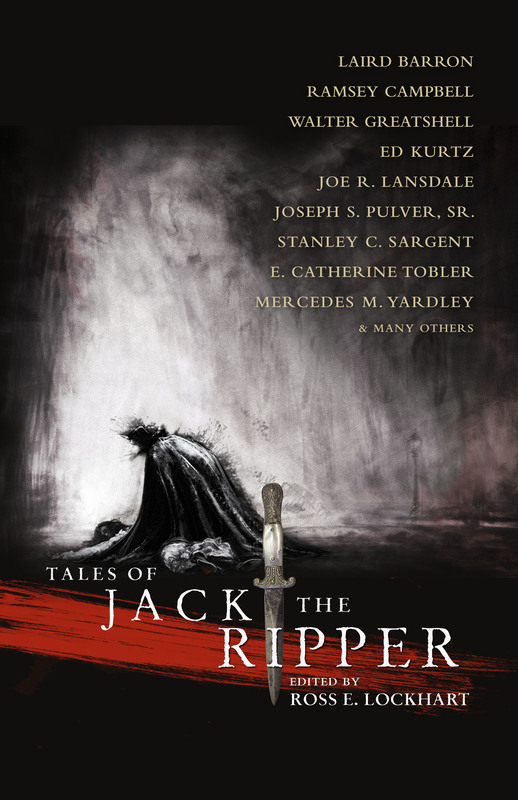 Oooo… Jack the Ripper stories! My husband, the Mattadon, often tells people that I have a disturbing fascination with serial killers. I’m not disturbed by it at all. Serial killer stories are among some of my favorites! I can’t wait to read this anthology ~ a lot of great author’s and interesting titles in this one. Wow, 700 posts! That is awesome Mercedes! Congratulations on the accomplishment! How nice to have your name of the cover of the “Jack the Ripper” book too! You are certainly a rising star. Jack the Ripper has always fascinated me. I am going to have to get this book and read it. I will probably have nightmares though. I already bought a copy of this (so don’t need to win one), but still wanted to comment because I’m really looking forward to reading this! I can wait to read it!!! omg. Jack is my fave! I spent many many years reading everything I could about him (alongside other serial killers!). Congrats on the story! I will most definitely be picking up a copy even if I don’t win one. Oh dear, sweet & kind Random.org please pick me!!! Sounds like a great read Mercedes. Can’t wait to get one! This looks great! I’d love a copy! Ohhh I love Jack stories! Mazel Tov on 700 posts and all the great work you’ve been doing! Jack the Ripper sounds COOL! Oh boy!! I would love to win this. I love this type of read and am always ready for a good thriller. Thanks. Huzzah! I like Ross Lockhart’s stuff. And I like yours too. So it’s, like, a win-win. Jack the Ripper is an interesting topic. Looks like a great collection. This sounds like a great anthology! Looks fantastic. What a line up! Congrats on 700 posts! And congrats on your name being on the cover of this anthology! Can’t wait to read it! Love reading new Jack the Ripper stories! My slight obsession with all things serial killer means I am ALWAYS looking for new takes on this old classic. Thanks for this awesome comp! Twisted Jack. What has he been up to? I’ve already bought a copy, but please enter me in the drawing. I want to see if the Murdock luck is still there. I wannnnts this.book:3 if i dnt win i may die alittle myself! Lol then that part of me will become a book eating zombie and god save the librarys! I would love to have this book! Thank you for the chance to win! Fascinated with Jack the Ripper!! I’m an armchair ripperologist so I would love to win this. Eager to read this! Looks great. I definitely want to read this one! !